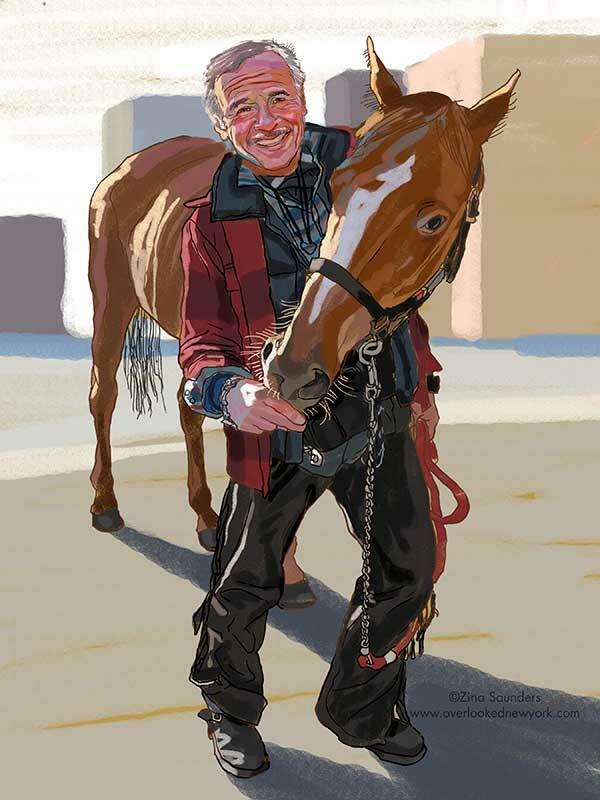 Joel, age 69, grew up in Brooklyn during World War II, when grocery stores were using horses to pull their delivery wagons. He remembers it was love at first sight when he looked into the big brown eyes of one little palomino wagon horse. “The first time I ever rode a horse was right here at this stable in Brooklyn; it was called Kennedy’s Riding Academy then. But I ride more now than I ever did as a kid: riding wasn’t very encouraged for a lower-middle-class Jewish kid growing up in Brooklyn. I started riding more in my late twenties. I spent a lot of time going to dude ranches, when they were non-family oriented, in the Swinging Sixties, when everybody was getting a little wacked and then riding a horse … don’t ask!